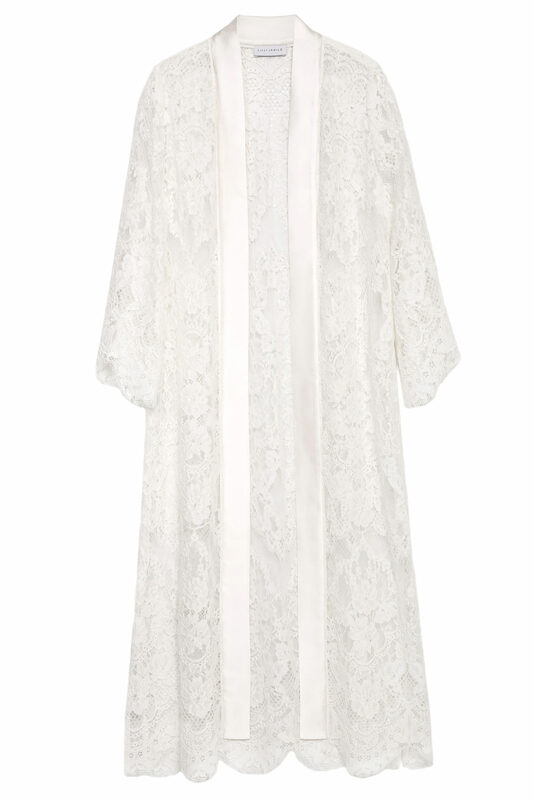 The Yara robe is a beautiful choice for brides looking for a bohemian and casual look. 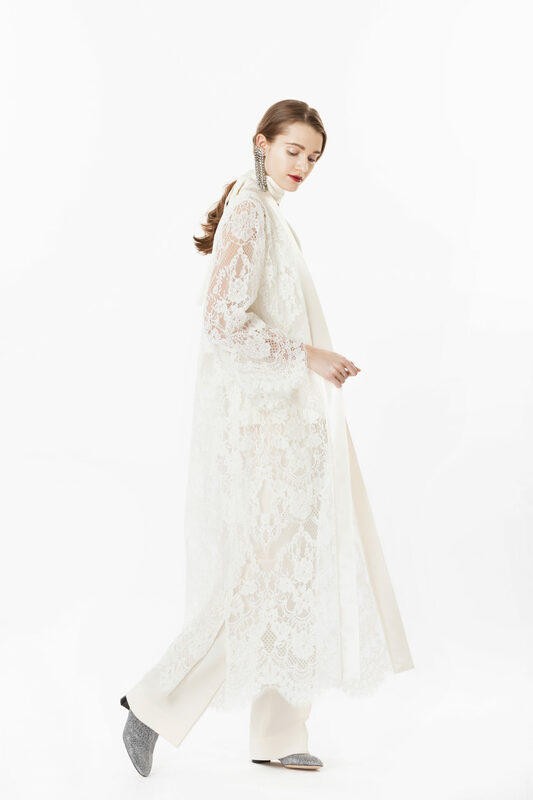 Cut from sheer corded lace, this floor-length kimono is as feminine as it is elegant. Lustrous ivory-hued silk satin panels form the long collar, and wide sleeves with original scalloped edges accentuate the modern style. Tie on the optional satin belt for a waist-defining look. Styling tip: This piece can be worn in a large variety of ways: accessorize it with a slim waist belt or try it layered over a camisole and wide pants. Alternatively, wearing a slip dress underneath gives it a more sensual appeal.